Buy your pumpkin from our organic, hand picked selection. Create your design and get carving! Post an image to our Facebook wall to enter! Prize pumpkin will be announced in 7.00pm in All Hallows’ Eve. 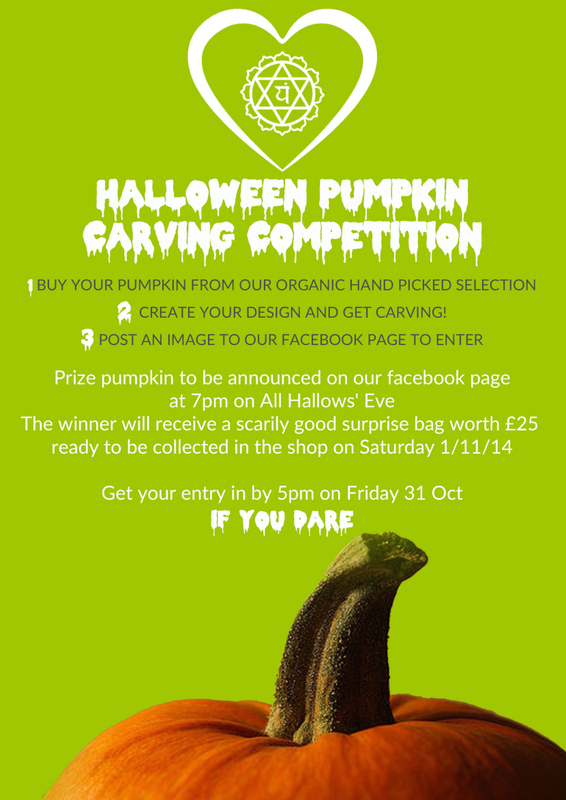 The winner will receive a scary good surprise bag to be collected in store in Saturday. Get your entry in by 5pm on Friday 31st October!